Kia is always implementing the latest technology to their vehicles in order to ensure a great driving experience. Many new Kia models, including the 2018 Kia Sorento, Kia Sportage, and Kia Optima utilize a feature called a drive mode selector which allows you to fine tune your vehicle’s performance to suit your particular driving needs. The Kia Drive Mode Select feature includes three basic driving modes: Normal, ECO, and Sport. Each drive mode was specifically developed to maximize performance or fuel efficiency to enhance your driving experience. It does this by changing transmission shift points, throttle response, and steering. For colder climates, some Kia models also have a Snow Mode feature which maximizes performance and traction for cold weather conditions. To use the Kia Drive Mode Select feature, simply push the button near the gear shifter or steering wheel, depending on your Kia model, to change the drive mode, which will then light up on your information display. With normal driving model, you can expect a balanced combination of fuel efficiency, power, steering, and throttle response perfect for everyday driving conditions. It provides a great level of comfort while preserving fuel efficiency. Whether you’re driving to and from work or traveling to a weekend getaway, you can’t go wrong with normal mode. When performance is a priority, choose Sport mode on the Kia Drive Select system. When you change the vehicle into sport mode you will notice increased performance, an enhanced throttle response and sharper steering and transmission shift points. Sport mode surely provides a pleasurable driving experience. Lastly, in order to maximize fuel efficiency, consider switching to ECO mode. With this drive mode, the transmission shift points, throttle response, and electrical systems are all altered in order to give you the greatest fuel efficiency possible. ECO mode is ideal for preserving fuel and saving you money at the pump. 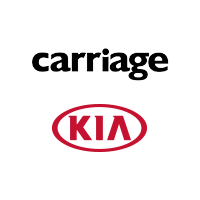 To learn more about the Kia Drive Mode Select feature, contact Carriage Kia of Woodstock. Our friendly and professional sales representatives will help arrange for you to take any available model for a test drive so you can check out the Drive Mode Select technology for yourself. Our sales representatives will also help you compare models and trim levels in order to ensure that you drive off our lot with the vehicle that suits your everyday driving needs and lifestyle best.